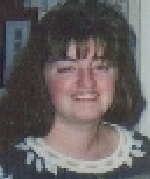 Gretchen is the Rhode Island Advanced Hypnosis Center General Manager and Office Administrator. However, Gretchen does a lot more than simply scheduling appointments. She is the hub of our hypnosis practice who keeps it operating at the highest level. Gretchen is the liaison who collaborates referrals from wellness centers, private medical practices and local area hospitals. She also handles all of our private corporate accounts and is in charge of facilitating hypnosis training schedules, lectures and public seminars. What's most helpful is that she uses hypnosis herself, and has therefore become an expert in answering your questions regarding hypnosis, hypnotherapy, and our products. Gretchen has a background in medical billing and coding and she is always happy to answer your questions and tell you all about the benefits of hypnosis. Be sure to ask Gretchen about hypnosis for losing weight. As of July 20, 2011 she has lost more than 52 pounds simply by using our own weight loss hypnosis program!